Provides resources to help students successfully complete the course term project. It also offers resources to generate curiosity and deepen understanding of course topics and to help students improve their information literacy and research skills. The ECO 151 Library Course Guide provides resources to help students successfully complete the course term project. It also offers resources to generate curiosity and deepen understanding of course topics and to help students improve their information literacy and research skills. Information literacy forms the basis for lifelong learning. It is common to all disciplines, to all learning environments, and to all levels of education. Being information literate enables learners to master content and extend their investigations, become more self-directed, and assume greater control over their own learning. Information literacy is “…the set of integrated abilities encompassing the reflective discovery of information, the understanding of how information is produced and valued, and the use of information in creating new knowledge and participating ethically in communities of learning.” Source: ACRL Framework of Information Literacy. This text is known for versatility, comprehensiveness, and persistent innovation and has remained one of the most trusted and reliable choices for principles of economics courses. Buy your textbook from STLCC Bookstores, either in person or online. Your instructor will provide information on the term project for this course. The resources on this guide will be extremely helpful in completing the term project. Resist the urge to procrastinate and get started early. Explore the many resources made available to you here. In economics, the macroeconomic equilibrium is a state where aggregate supply equals aggregate demand. Access the complete open text, Boundless Economics. Presents major concepts of macroeconomics, such as gross domestic product (GDP), price level, inflation, aggregate supply and aggregate demand, unemployment, etc. Definition: Macroeconomics is the branch of economics that studies the behavior and performance of an economy as a whole. It focuses on the aggregate changes in the economy such as unemployment, growth rate, gross domestic product and inflation. 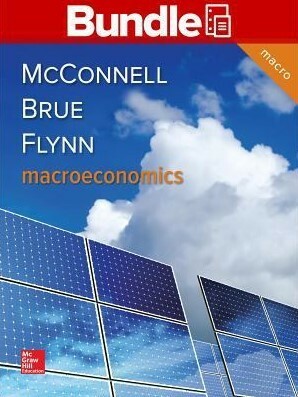 Description: Macroeconomics analyzes all aggregate indicators and the microeconomic factors that influence the economy. Government and corporations use macroeconomic models to help in formulating of economic policies and strategies. Macroeconomics is not that different from microeconomics, in that the interaction of supply and demand provides the basic organizing framework for analyzing the workings of a national economy. The equilibrium levels of national income and prices are determined at the intersection of aggregate supply and aggregate demand curves, just as the equilibrium quantity of transaction and price of an individual commodity is determined at the intersection of supply and demand curves.